At the final press conference on Wednesday, Douglas Currie (Univ. of Maryland), who participated in the Apollo lunar laser ranging experiments, showed how the next generation of lunar landers will extend such work. Wesley Fraser (Herzberg Institute of Astrophysics) revealed new clues to the composition and structure of dwarf planet Quaoar and its moon Weywot. And Mike A’Hearn (Univ. 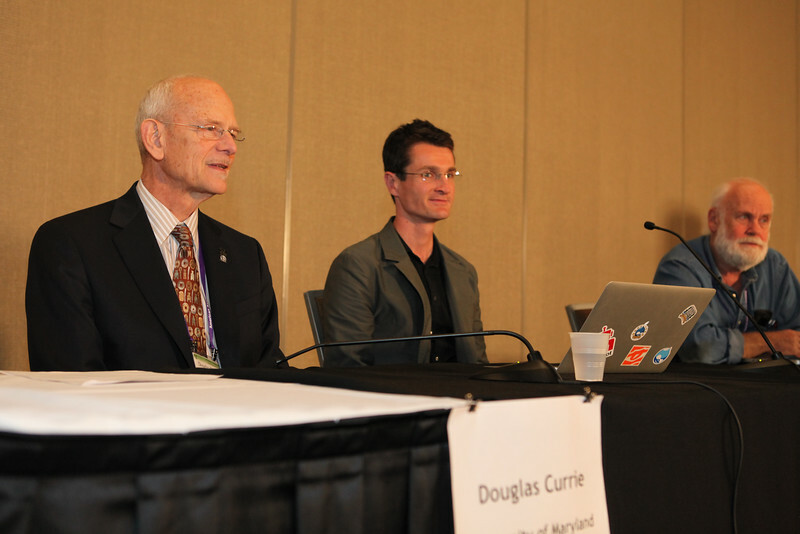 of Maryland) told reporters about how new data from comets is changing our view of solar-system evolution. AAS photo © 2012 Joson Images.